Want to be added to one of our links pages? Just link to us first, with the easy to cut and paste code below. 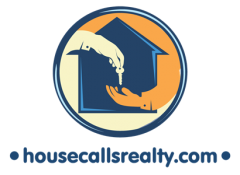 <a href = ” http://housecallsrealty.com”>Denver Real Estate</a> – is an estate firm offering a full range of buying and selling services in Denver, Aurora, Lakewood, Centennial, and Littleton, Colorado. Denver Real Estate – is an estate firm offering a full range of buying and selling services in Denver, Aurora, Lakewood, Centennial, and Littleton, Colorado. Then send the link in an email with your desired url and anchor text and we will post the link for you. We also would welcome you to blog for us. Email me a well written blog in English. We want real estate, home improvement, SEO, photography….really anything that can end with a twist toward real estate or Colorado. Please make them 500+ words at a minimum with one link per 250 words. Photos are always appreciated and earn alt text link juice.